10 Series Flange Mount Caster Base Plate. These base plates will fit in the 10 (1″) extrusions. The dimensions are 3.75″ x 2.5″, and have a thickness of 0.500″ (1/2″). The (4) counterbored holes require 1/4-20 x 1/2″ SHCS. 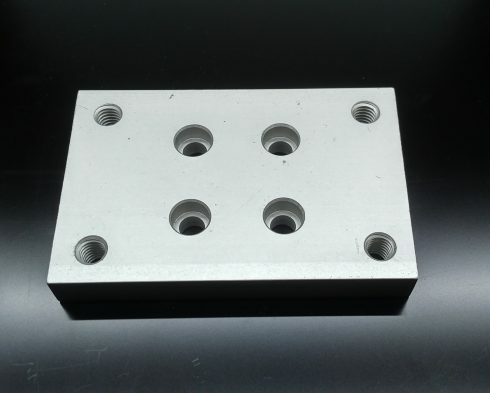 The tapped holes are on 1.75″ x 2.94″ center-to-center.